Jerusalem is on my list of places I would like to visit. Well captured image. J'aime bcp ce personnage seul avec ces grands murs autour de lui ! A superb composition drawn to the light! The definition of rock is amazing! A breathtaking! 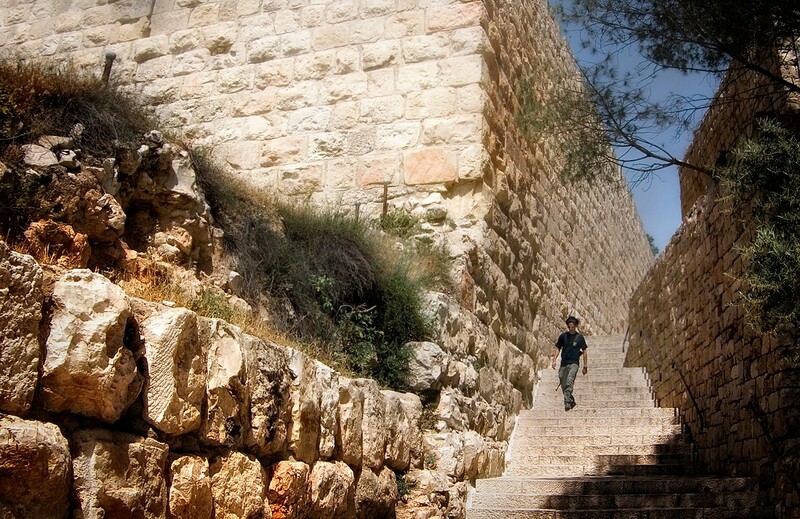 This image has the light, color and texture of the Holy Land. Wonderful composition. Perfectly constructed and full of great texture, contrast and light. Lovely shot! Wow, what a great wall. Stunning. It's a great composition - and the well-chosen angle emphasises the lines and texture of the scene.